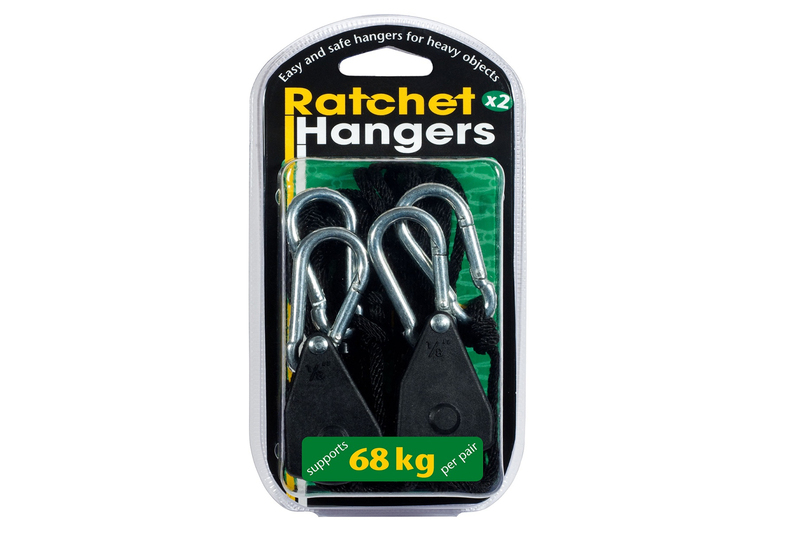 Rope Ratchet Heavy Hangers are the fast and easy way to safely hang heavier items such as compact lamps, reflectors or even charcoal filters. Thanks to the engagement of the polypropylene rope, it is easy to adjust the height. Heat resistant and rustproof. Maximum load capacity of the trailer per pair is 68kg. Rope Ratchet Heavy Hangers shorten and simplify the workload massively, thus saving time and money. In the Greenville Gardening Grow Shop in Bern we advise you gladly and sell all current models.